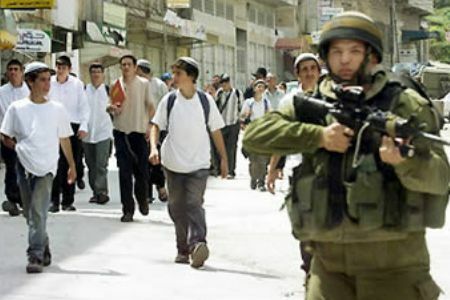 A horde of Israeli extremist settlers, escorted by Israeli occupation forces (IOF), stormed the southern West Bank city of al-Khalil on Sunday and wreaked havoc in it. Local sources said the invading IOF troops sealed off the Beersheba street downtown to pave the way for the settler break-ins. The sources spoke out against the abrupt closure of the street by the Palestinian security apparatuses as part of the security coordination arrangements with the IOF. Meanwhile, a so-called security official of the illegal Karmi Tsur settlement kept chasing three Palestinian unarmed youths allegedly for having set fire somewhere near the settlement’s entryway, Palestinian activist Muhammad Ayad told the PIC. In a related development, tensions have run high in al-Khalil on Sunday afternoon as the IOF tightened its grip on the main entrances to the city and its surrounding settlements, installing makeshift roadblocks and inspecting passengers’ IDs and vehicles to set the stage for projected Jewish religious celebrations. A Palestinian child suffered head injuries after being shot with a rubber bullet by Israeli occupation forces (IOF) during clashes that broke out Sunday in Aida refugee camp in Bethlehem. According to the PIC reporter, the 13-year-old Mahmoud Abu Salem was seriously injured in his head after being shot by an IOF rubber bullet. The child was transferred to hospital in a very critical condition after losing a lot of blood. The clashes broke out when IOF soldiers stormed the camp’s neighborhoods and started firing rubber bullets, and tear gas and sound bombs. Several other injuries were reported during the clashes. Several Muslim worshipers suffered injuries when scores of Israeli police troops stormed following the dawn prayers today the Aqsa Mosque's courtyards and violently attacked them in an attempt to evacuate the Islamic holy place for Jewish settlers. According to the Aqsa foundation for endowment and heritage, the invading police forces fired rubber bullets and a hail of different gas canisters at the Palestinian worshipers, which led many of them, mostly elders, to suffer injuries. Several Palestinians inside the old grey-domed building of the Aqsa Mosque kept making distress phone calls, but no immediate medical help for the wounded was available in such early morning time. "Before the dawn prayers, large forces encircled the Aqsa Mosque and others were deployed at all its gates and on Al-Buraq wall plaza, while all men under age 50 and all women of all ages were denied entry to the Aqsa Mosque, which forced the worshipers to perform the dawn prayers in areas near the Mosque's gates," the Aqsa foundation for endowment and heritage explained in a press release. "However, a few minutes after finishing the dawn prayers, all gates were closed and no more worshipers were allowed in, and suddenly, police forces started to violently storm the Aqsa Mosque," the foundation added. The foundation strongly denounced the Israeli attack on the Islamic holy place and described it as "very dangerous." It affirmed that the violent police raid is aimed at evacuating the Mosque from Muslim worshipers in order to allow in Jewish settlers and officials on the occasion of the Sukkot festival. The foundation appealed to the Islamic and Arab states to move urgently to protect and save the Aqsa Mosque. Palestinian medical sources have reported that a local teen was injured after a number of settlers attacked him in Yatta, near the southern West Bank city of Hebron. Additionally, several Palestinians were injured by army gas bombs, to the south of Hebron. The Red Crescent in Hebron said its medics moved Sakhr Mahmoud Abu Qbeita, 16 years of age, to the al-Ahli Hospital in Hebron, suffering moderate injuries. 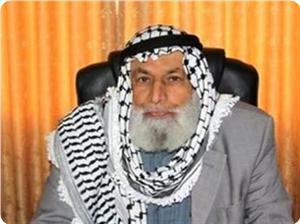 Abu Qbeita was attacked by a number of settlers, in Masafer Yatta, near Hebron. In related news, Israeli soldiers fired several gas bombs at Palestinian workers near the Ramadeen area, south of Hebron; several workers suffered the effects of tear gas inhalation. Israeli forces notified residents of al-Khader, to the south of Bethlehem, Saturday, of their intention to seize about 80 dunams of Palestinian-owned cropland, according to local activist Ahmad Salah. 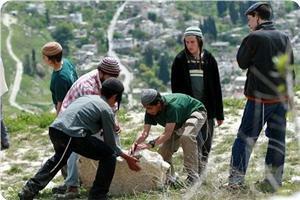 Also on Saturday, Israeli settlers assaulted Palestinian olive harvesters in Yasuf, near Salfit. Mr. Salah, who coordinates the al-Khader local committee against the wall and settlement, said that forces announced their decision to seize 79 dunums (approximately 20 acres) of cropland in Ras Salah and al-Thaghra area, located just adjacent to the nearby illegal Israeli settlement of "Daniel". The seized lands are intended for the construction of settlement units, parks, a synagogue and agricultural roads, according to WAFA Palestinian News & Info Agency. Furthermore, Israeli forces gave Palestinian landowners 60 days to appeal at the Israeli Supreme Court to stop the decision. WAFA notes that forces have denied landowners from accessing their lands for the last 20 days. To the northeast of Salfit, in the vilage of Yasuf, seven Israeli settlers descended from the illegal Israeli settlement of Tafuh, built on land seized from the villagers, and assaulted several Palestinian farmers who were harvesting olives in the Khallet al-‘Ayn area. Settlers brutally assaulted 30-year-old Hana’ Fathi ‘Atyani, inflicting injuries in her leg, in addition to vandalizing her husband’s vehicle. An armed settler shot three bullets in the air, in an attempt to intimidate the harvesters, but no further injuries were reported. The attack comes less than a week after Israeli settlers destroyed about 100 olive trees in Yasuf, as the Palestinian olive harvesting season gets underway, this month. Settlers have been systematically assaulting Palestinians and their property across the occupied West Bank, WAFA further reports. The attackers often set fire to entire orchards or chop them down and release wild pigsonto the lands, causing extensive destruction to crops. Such assaults are ignored by Israeli forces, who frequently protect the settlers or simply stand by watching. The attacks are meant to intimidate Palestinian farmers, disenfranchise and dispossess them in order to expand and facilitate further construction of illegal Jewish-only settlements. Palestinian medical sources reported, on Friday evening, that seven residents have been injured by Israeli army fire, after several military jeeps invaded Silwan town, in occupied East Jerusalem. The Wadi Hilweh Information Center in Silwan said the soldiers fired dozens of flares, gas bombs, concussion grenades and rubber-coated metal bullets, wounding seven Palestinians, while many suffered the effects of tear gas inhalation. The Center added that a young man and a child suffered head injuries by concussion grenades shrapnel, and were kidnapped by the soldiers. A young man suffered an injury to his ear, and hearing complications, after the soldiers threw a sound bomb at him. He was moved to a local hospital while another young man was injured by fragments in the neck. Dozens of soldiers also invaded a home belonging to Qara’in family members, in the town, and ransacked it. The Israeli attacks led to property damage, including damage to parked Palestinians cars. The Center said the clashes took place following the burial ceremony of resident Sa’id Qara’in, 53, who was recently killed following allegations he sold family home to Israeli settlers. 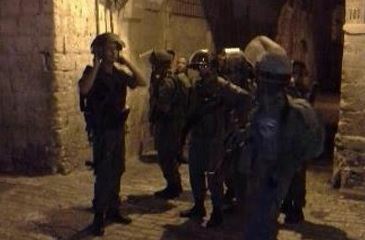 Seven Jerusalemites were injured on Friday night, during violent clashes which broke out in Silwan. 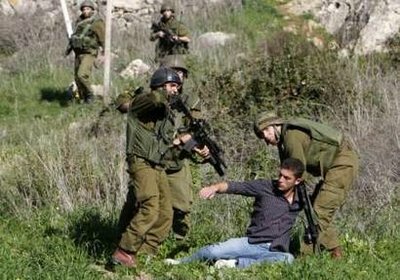 In the Nablus district, on Saturday, Israeli forces abducted seven Palestinians from the Zwata, Balata and al-‘Ayn refugee camps near Nablus. Jerusalem's Wadi Hilweh Information Center was notified that, following the burial of one Saeed Qaraeen, a fight broke out between family members and one house was set on fire, in addition to material damages and physical injuries which were sustained among the family members. The argument turned into clashes with nearby Israeli authorities and settlers, upon which forces fired sound grenades and rubber-coated steel bullets towards neighborhood residents, leading to the injury of seven people. 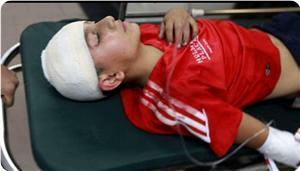 One young man and a child were injured directly in the head, by shrapnel from sound grenades. Another young man was injured by shrapnel to the neck and yet another suffered a severe pain in his ear after being directly hit with a sound grenade; he was transferred to the hospital for treatment. On Saturday, Israeli forces kidnapped seven Palestinians, including five brothers, from Zwata, Balata and al-‘Ayn refugee camps near Nablus, according to witness reports. WAFA correspondence reports that Israeli forces raided Zwata camp, where they arrested five Palestinians, who are brothers, after breaking into and ransacking the fmaily home. Forces additionally raided the Balata and al-‘Ayn refugee camps and several neighborhoods within the city, where they broke into and ransacked several homes, taking two Palestinians. 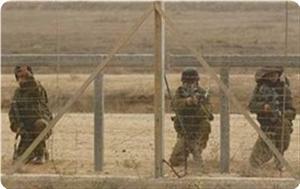 Israeli soldiers stationed across the border fence with Gaza opened fire, on Thursday morning, at several Palestinian farmers working in their lands east of Khan Younis, in the southern part of the Gaza Strip. Local sources said that soldiers stationed on military towers in Kissufim military base, across the border fence, opened fire targeting farmers in the Sanati area, east of Abasan al-Kabeera, and al-Qarara, east of Khan Younis. The sources added that the attacks started around 6:30 in the morning, and also targeted homes which the civilians had to leave during the Israeli aggression on Gaza. Damage was reported but no injuries. The soldiers frequently target Palestinian farmers and workers in border areas in the eastern and northern parts of the Gaza Strip, in an attempt to enforce a 300 meters “buffer zone”, keeping the Palestinians out of their lands under the guise of security. Dozens of Muslim worshipers suffered injuries and six others were detained during the events that broke out when Israeli police forces violently raided the Aqsa Mosque on Wednesday morning. 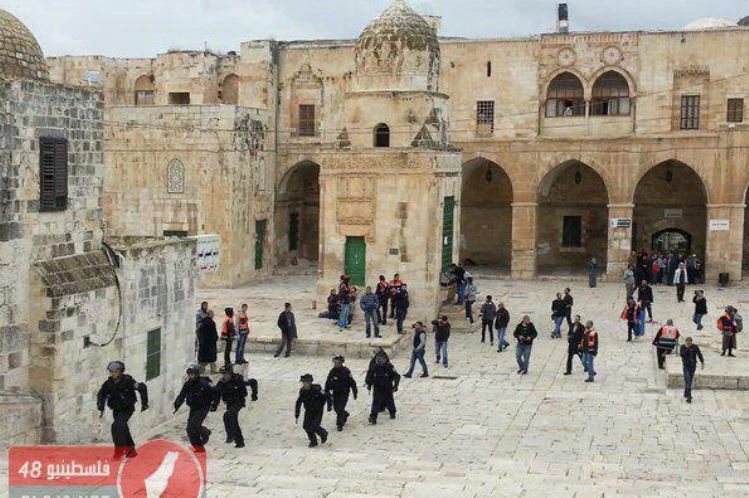 Mahmoud Abul-Atta, spokesman for the Aqsa foundation for endowment and heritage, said that special police troops stormed the Aqsa Mosque compound at 7:30 in the morning and embarked on attacking all Palestinian worshipers in the courtyards and inside prayer buildings. Abul-Atta explained that the invading troops fired a hail of flashbang and pepper gas grenades at the worshipers in the courtyards and inside the grey-domed Aqsa Mosque to forcibly evacuate the Islamic holy place. The spokesman added that the Israeli occupation police prevented paramedics from entering the Aqsa Mosque compound to help the wounded and imposed a tight siege around it. He appealed to the Islamic and Arab worlds to move to defend the Aqsa Mosque, which, he said, is undergoing a serious stage. In a related incident, the Israeli police on Wednesday evening arrested two young men in occupied Jerusalem on allegations of throwing stones at Israelis. 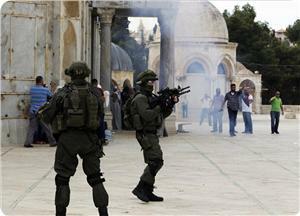 The police also claimed that four of its men suffered injuries during the confrontations at the Aqsa Mosque. The situation has become very tense in the holy city after the Israeli occupation police forced their way into the Mosque compound yesterday and unjustifiably assaulted Muslim worshippers. The Israeli Occupation Forces (IOF) failed at dawn Wednesday to arrest the Palestinian MP Sheikh Ahmad Haj, 75, for the fifth time in a row in three months. Local sources told a PIC reporter that Israeli forces stormed in large numbers al-Ein refugee camp in Nablus and besieged MP Haj’s two homes; but fortunately he was not in any of them. It is the fifth time that IOF soldiers stormed Sheikh Haj’s home in three months since the Israeli mass arrest campaign in mid-June was carried out following the kidnapping of three Israeli soldiers in al-Khalil, the sources added. Meanwhile, violent clashes erupted between the soldiers and local youths in Balata refugee camp in the city. A woman suffered breathing problems during the clashes while two arrests were reported. 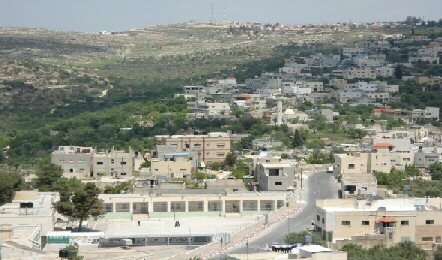 On the other hand, Israeli forces broke into Awarta town, southern of Nablus, last night. No arrests were reported. Palestinian medical sources have reported that dozens of residents have been wounded when Israeli soldiers and settlers invaded the yards of the Al-Aqsa Mosque, in occupied East Jerusalem, and attacked dozens of worshipers. The sources said that the soldiers threw gas bombs, concussion grenades and rubber-coated metal bullets at the Palestinians in the yards of the mosque and even into the interior of the al-Qibli mosque. The attack took place after dozens of Israelis tried to invade the mosque while marking the Sukkot feast. Mosque guards said dozens of soldiers have been deployed all around the mosque area, especially the al-Magharba Gate, and that the attack itself took place around 7:30 in the morning. They said the attack was sudden while hundreds of worshipers were there before hundreds of soldiers invaded the mosque area, assaulted the worshipers and tied to force them out. The attack led to clashes between the Palestinians, the soldiers and a group of fanatic Israeli settlers who accompanied them. 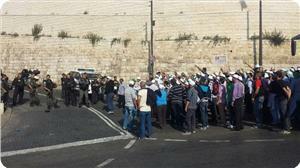 On Tuesday at dawn, Israel imposed strict measures restricting the entry of Muslim worshipers into the al-Aqsa Mosque. All Palestinian men, below the age of sixty, have been denied access to the mosque and its surrounding areas, while the army withheld the ID cards of elderly Palestinians, and women of different ages, an issue that led to further tension. Later on, the soldiers removed all Palestinians from the yards of the mosque, and surrounded dozens of youths who fortified themselves into the Al-Qibli mosque, after the soldiers shut its gates with chains. Head of the Waqf and Endowments Department in Jerusalem Sheikh Azzam Khatib said the department filed an official application to the Israeli Authorities in Tuesday asking them to close the al-Magharba Gate to prevent the entry of fanatic settlers into the mosque area, but the police ignored their request. Khatib added he contacted the Jordanian Ambassador and informed him to the attack. “Due to calls for invading the mosque by extremist Israeli figures, especially during Jewish Holidays, the mosque became subject to frequent and escalating violations,” Khatib said. Head of the Al-Aqsa Mosque Sheikh Omar al-Kiswani said the clashes are still ongoing, adding that many Palestinians have been injured, especially in the al-Qibli mosque, while fires broke out in the carpets due to Israeli gas bombs and concussion grenades,. He added that the soldiers prevented local firefighters from entering the area. Eyewitnesses have reported, Tuesday, that clashes took place between dozens of local youth and Israeli soldiers and police officers, after the army imposed further restrictions on the entry of Muslims into the al-Aqsa mosque, in occupied Jerusalem, on the last day of the Muslim al-Adha holiday. Local sources said that the soldiers, and the police, escalated their strict measures limiting and preventing the entry of hundreds of worshipers into the mosque, especially the few who were allowed to leave Gaza and head to Jerusalem for Eid prayers. The clashes mainly took place near the Bab al-Majlis (The Council Gate) and Hatta Gate in the Old City of occupied Jerusalem. According to Israeli sources, some protesters threw Molotov cocktails at the soldiers and the police, causing minor injuries; the police sealed the entire area and invaded it. 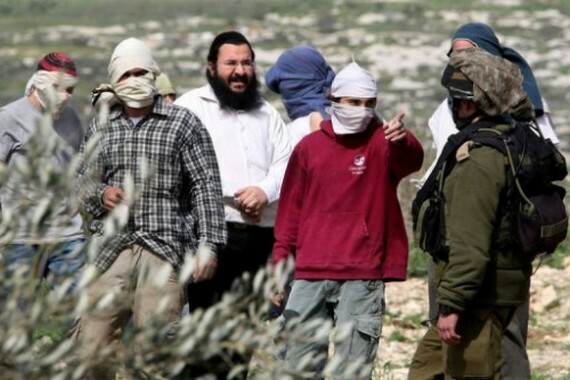 Palestinian medical sources have reported, on Tuesday evening, that a man was injured after a number of extremists Israeli settlers attacked villagers who were picking their olive trees, in Palestinian orchards at Burin village, south of the northern West Bank city of Nablus. 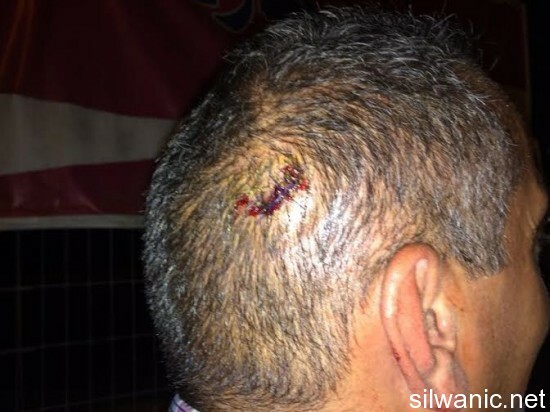 Local sources said that the man, identified as Mahmoud Raja, suffered several injuries after being struck by stones thrown by the settlers as he was picking his olive trees with his family. The sources added that the settlers tried to remove the villagers from their own orchards before Israeli soldiers arrived at the scene and attacked the villagers instead of removing the assailing fanatic settlers. On Monday, a number of settlers cut off the branches of 100 olive trees owned by Palestinian farmers from the Bani Yasouf village, near Nablus. The settlers came from the illegal settlement of Taffouh. Another group of settlers also damaged 20 olive trees owned by Palestinian farmers from the village of Awarta, near Nablus. Fanatic settler groups usually escalate their attacks against the villagers during and shortly before the olive harvest season. Besides physical attacks against the Palestinians, the settlers carry out repeated attacks which include cutting dozens of trees, burning orchards and farmlands, and even flooding farmlands with settlement sewage. Hordes of Israeli extremist settlers on Monday launched rounds of abrupt mass-assaults on the West Bank cities of Nablus and Salfit and wreaked havoc on Palestinians’ cultivated lands. A PIC correspondent said the settler bunches have deliberately ravaged Palestinians’ olive groves and expropriated loads of the reaped crops right after having raided Bourin and Ourata towns, south of Nablus, and Yasouf village, to the east of Salfit. Israeli settler attacks, stepped up during the olive season, often culminated in forced kicking out of Palestinian farmers, expropriation of cultivated harvest, and chopping down dozens of fruitful trees, as has already been the case many times before. Dozens of injuries including three by rubber bullets were reported Monday evening during clashes that broke out in Tekoa town, east of Bethlehem, between local youths and Israeli occupation forces (IOF). The clashes erupted at the western entrance to the town when IOF soldiers heavily fired tear gas and sound bombs at Palestinian citizens. Three young men were wounded by rubber bullets while dozens suffered breathing difficulties after inhaling tear gas. In the same context, three Palestinians children were brutally beaten and attacked by Israeli soldiers after being detained at a military checkpoint at the entrance to Beit Fajjar town to the south of Bethlehem. The three children were released later while suffering severe bruises. Meanwhile, Israeli occupation authorities declared the arrest of 11 Palestinians overnight throughout occupied West Bank including three from Bethlehem and five others from al-Khalil. Six of the detainees were detained on suspicion of being involved in clashes with Israeli soldiers and settlers, the sources claimed. Israeli raid and arrest campaigns are carried out on daily basis throughout the West Bank under flimsy pretexts. 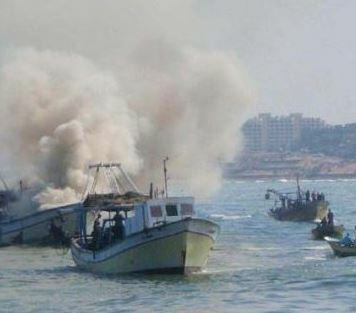 Israeli navy boats and a navy chopper opened automatic fire, on Tuesday morning, on a number of Palestinian fishing boats close to the shore in the al-Waha area, northwest of the Gaza Strip, causing damage but no injuries. Eyewitnesses said the navy ships, and a navy helicopter opened fire close to a number of fishing boats, before targeting the boats with several live rounds. They added that the navy ships kept firing close to the fishing boats until they reached the Gaza shore. The attack is the tenth documented Israeli violation of the cease-fire agreement, reached a month ago, and all previous ceasefire deals mediated between Tel Aviv and armed resistance groups in the Gaza Strip.